*In best Australian accent* Crikey! She almost bit me there! Let us explain. This here is a visually bone stock new Civic. 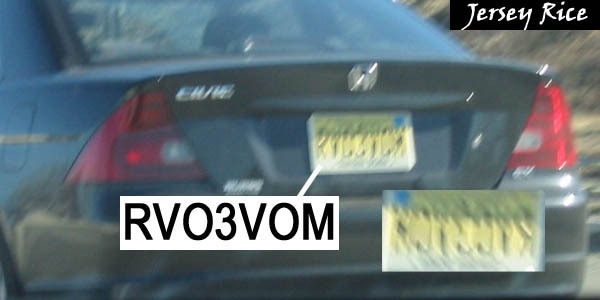 The license plate reads RV03V0M, which, in a mirror, would look like MOVEOVR. 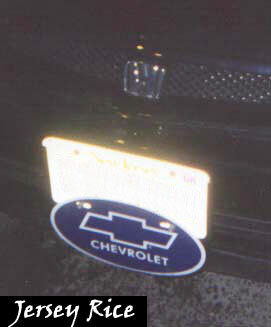 We don't know about you, but if we saw a stock Civic in our mirror with a license plate reading 'Move over', we sure as hell wouldn't. 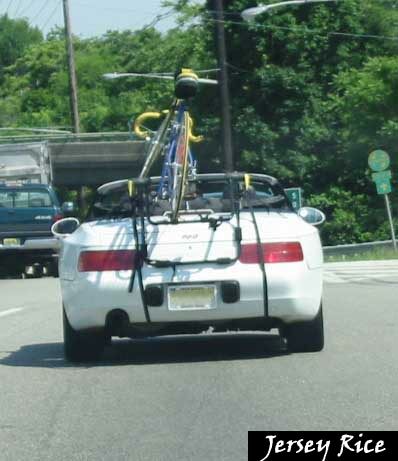 Well, that's one way to transport a bike when you drive a Porsche. The owner must not be watching enough Christoper Lowell, or else they would have used a mauve color instead of the brown racing stripe to accent the blue body color. 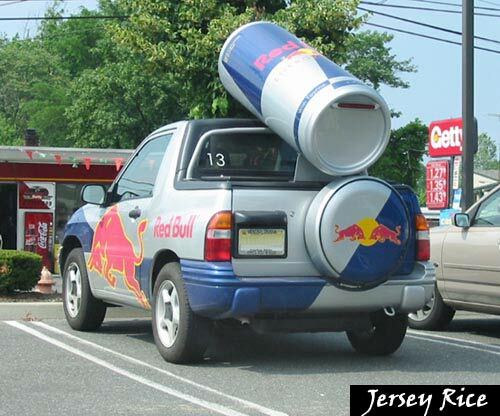 Either it's a promotional vehicle, or someone really likes their Red Bull.